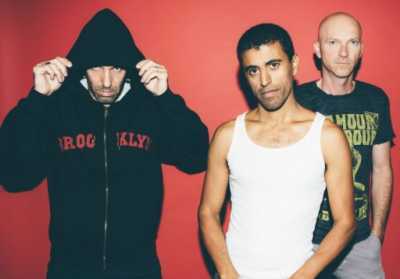 NEW YORK (AFP) — When Balkan Beat Box set out to record its latest album, the genre-defying Israeli band went into a studio and jammed just to see what it would come up with. “It was almost like creating our dream vinyl library. We would play not necessarily what Balkan Beat Box needs to be in our eyes, but almost as aesthetic ideas,” percussionist Tamir Muskat said on a visit to New York. “Then we would steal from the vinyl — we would steal from our own jams — and create beats, hip-hop style, from them,” he said. Steamy reggae dominates the sound of Balkan Beat Box, but singer Tomer Yosef brings a staccato rap delivery, and the band, true to its name, infuses the klezmer dance music of Eastern Europe with wide Middle Eastern influences. The new album goes in a funky direction. “I Trusted U” — the first single, whose wrestling-themed video has been seen more than 1.2 million times on YouTube — is driven by energetic bursts of saxophone with touches of tango. Now based in Tel Aviv, the band formed more than a decade ago in New York, where the three core members found the freedom to sample widely among genres ranging from punk rock to Romani music. The band believes that such fusion is now possible in many places — and that, thanks to the rise of the internet, categorization finally matters less. “When we started out, they put you in the world music section and there was no YouTube,” said saxophonist Ori Kaplan. “Now, if you are able to bring your music with a video — a visual of the music — and create even a minor viral incident, you don’t need a genre. Nobody cares,” he said. Yosef, the singer, said his first musical love was Bob Marley and he mused that his Yemenite roots gave him a bond with reggae, born among the African diaspora in Jamaica. “It’s kind of in my blood,” he said. The latest album renews the Yemenite connection through a collaboration with A-Wa, the three-sister band that has recently found breakthrough success. The members of A-Wa, who modernize Yemenite traditional music, contribute on the song “Kum Kum,” another track with a funky beat and electronic backdrop. 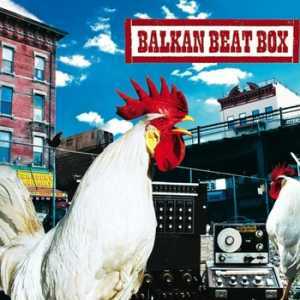 Balkan Beat Box keeps the same spirit of musical discovery on the latest album but it differs in one respect — the way it deals with politics. The band has frequently been outspoken, with tracks such as the peace anthem “War Again.” The group’s last album, 2012’s “Give,” was inspired by protests sweeping the world, from social justice demonstrations in Israel to the Arab Spring revolts to the Occupy Wall Street movement. For “Shout It Out,” the artists said that their politics have not changed — but the tone has. With the three core members raising families, the latest album is often in the first person, with vignettes of daily life. “Even though the album is called ‘Shout It Out,’ we used to shout a lot louder,” Yosef said.